There are a few cars you would buy based on their looks alone. 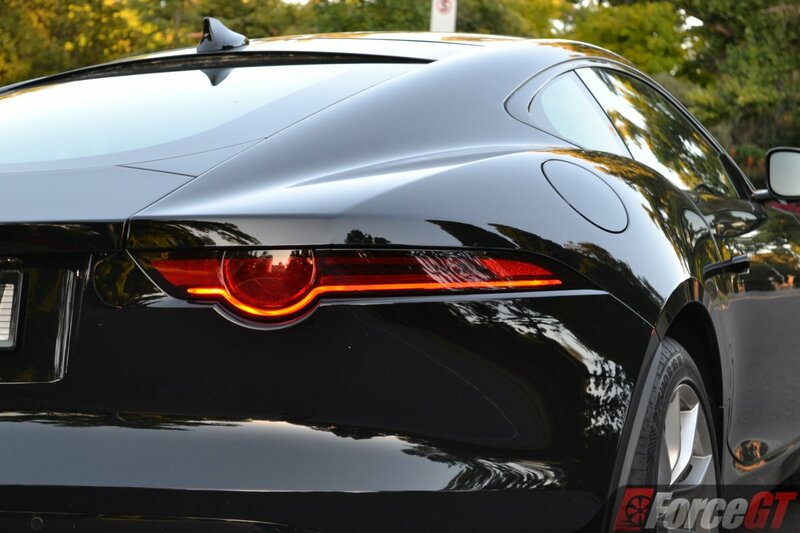 The Jaguar F-Type is one of them. With the introduction of a new entry-level 2.0-litre turbo variant, Jaguar is broadening the F-Type’s appeal and accessibility, targeting buyers who care more about the sports car’s lusty looks than outright performance. 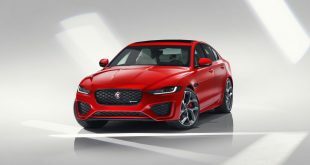 And image conscious buyers have every reason to get excited about, as ownership of Jaguar’s flagship sports car now starts at ‘just’ $114,200 plus on-road costs, well within reach of potential Mercedes-AMG C43 Coupe and BMW 440i Coupe buyers, also about the same money Porsche is asking for its Cayman. The new range-opener expands the F-Type’s powertrain offering to 5, with the line-up now consists of four, six and eight cylinder engines of various tunes churning out everything from 221kW to a fire-breathing 423kW. 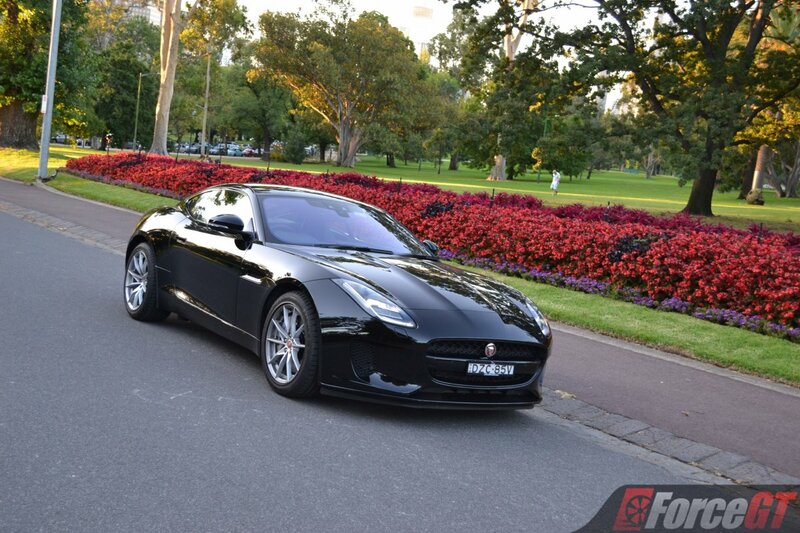 But before we dive into the specs and driving experience, let’s revisit one of the F-Type’s major selling points – looks. From the outset, it’s hard to believe that this car has been around for nearly 7 years. It’s certainly one of the very best definitions of a timeless design, with a huge dose of elegance and sophistication added into the mix. It’s appeal is dialed up even more with the R-Dynamic trim or the limited run Chequered Flag edition. 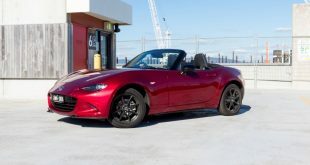 Regardless of which variant you pick, be sure though to size up the wheels to at least 20 inches, as the 18-inch items on our test car just don’t do its those gorgeously seductive body panels justice. 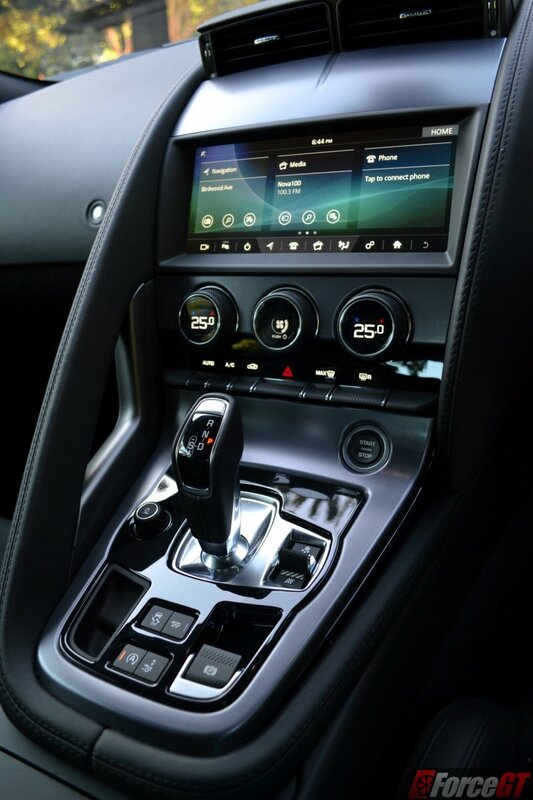 Moving to the interior, the driver-oriented dashboard wraps you around like how a sports car should, with a beautifully crafted thick-rimmed flat bottom steering wheel further suggesting you’re seated in something special. 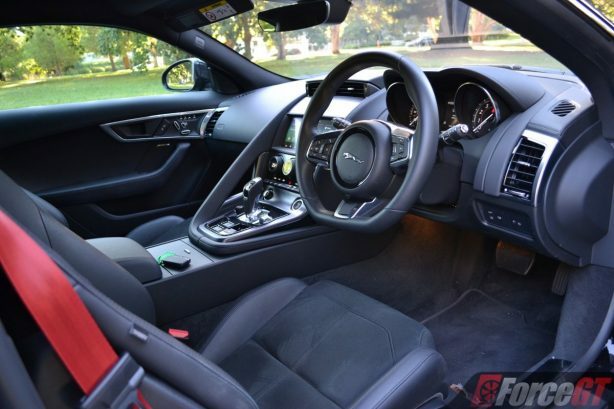 Speaking of seating position, the F-Type offers an excellent driving position that is low and very close to the rear axle, allowing the driver to feel the movement and weight transfer of the car. The seats themselves are snug with exceptional lateral support thanks to the large side bolsters, though we find the back rest a little too firm. 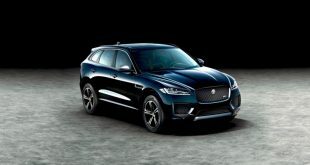 2019 brings a few notable updates to the interior, including standard fitment of Jaguar’s Touch Pro infotainment system, a frameless rearview mirror and new chrome and aluminium trim finishers. On the safety front, Autonomous Emergency Braking, Lane Departure Warning, Lane Keep Assist and Driver Condition Monitor are now standard. 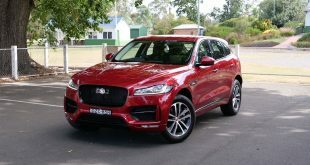 However, Jaguar still charges for essential items such as DAB+ digital radio, keyless entry, blind spot monitoring and even LED headlamps and dual-zone air conditioning. Yes, you read that right. Worse, reversing camera – a potentially life-saving feature – is also optional and at a cost of $1080! 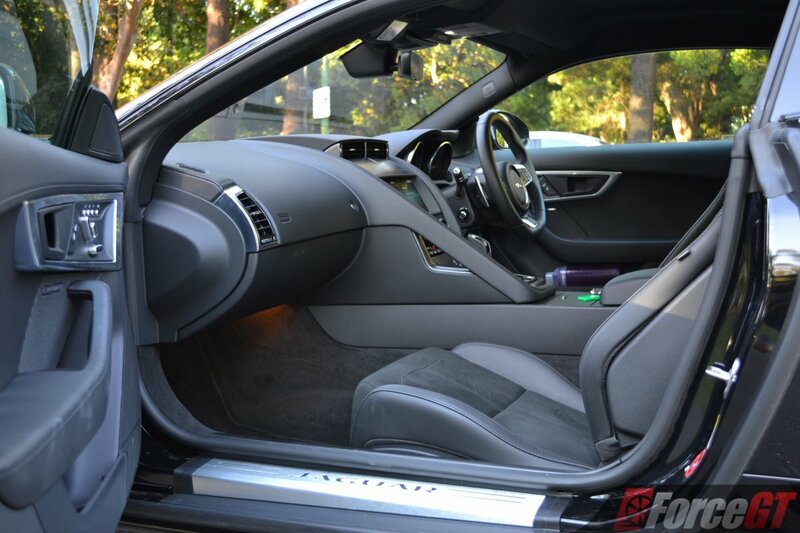 You don’t buy an F-Type for interior space and given it’s only got two seats that can’t be more true. The lack of rear accommodation aside, the F-Type is pretty much self contained as far as storage spaces and amenities go. It has a decent size centre console storage between the seats, two cupholders, and a usable glove box. The door pockets have bottle holders and extra storage spaces can be found behind the seats. 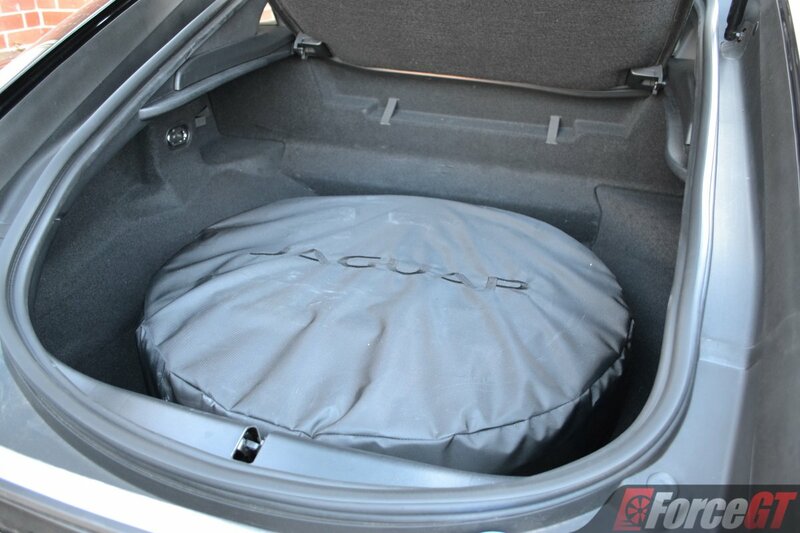 While you wouldn’t take the F-Type for your weekly grocery shopping, you can however, as beneath that shapely rump is 310 litres of boot space. It’s taken up mostly by the space saver spare wheel but there’s still space for a couple of small bags. One of our favourite interior features is the pulsating starter button. Push that in the upper supercharged V6 or V8 powered models and it unleashes a race car-like bark from the exhausts. 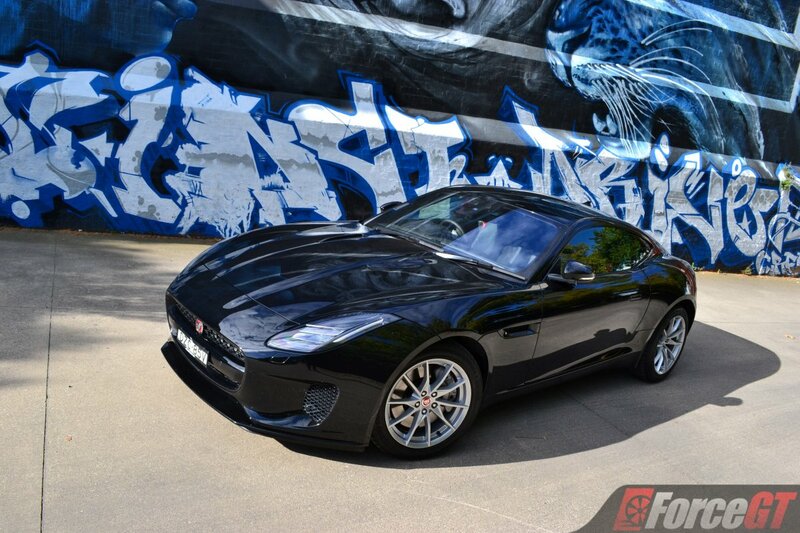 In our 2.0-litre turbocharged four cylinder however, things are a lot less dramatic. You still get a sporty, slightly metallic tinge soundtrack on start up that is perhaps as good as a four-pot can get, but it’s just incomparable to its higher capacity siblings. 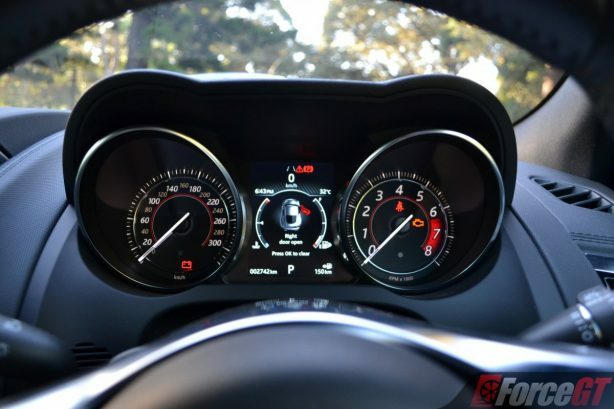 Fortunately, the aural feedback gets better as you feed in the revs, with a suitably enthusiastic rasp in the higher rpm’s that only adds to the overall driving immersion. You’re also not missing much in terms of performance, as the 2.0 turbo pumps out an impressive 221kW of power at 5500rpm, accompanied by a strong 400Nm of torque from 1500 to 4500rpm. The new engine is not only the most powerful four-cylinder unit ever offered in a production Jaguar, it also generates the highest specific power output of any engine in the F-Type range: 110kW per litre. 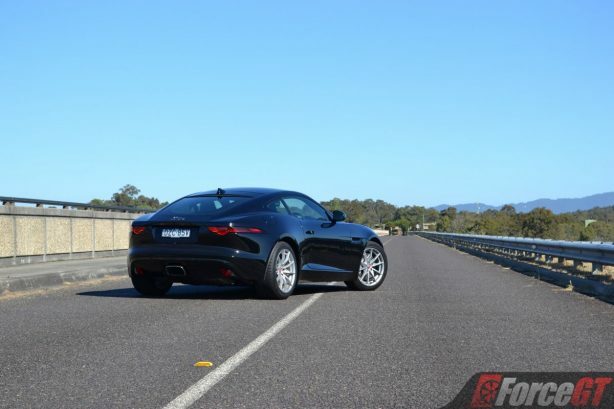 It is also claimed to be the most efficient F-Type in the range, with a combined rated fuel economy of 7.2L/100km – a 16 per cent improvement over the 250kW supercharged V6. 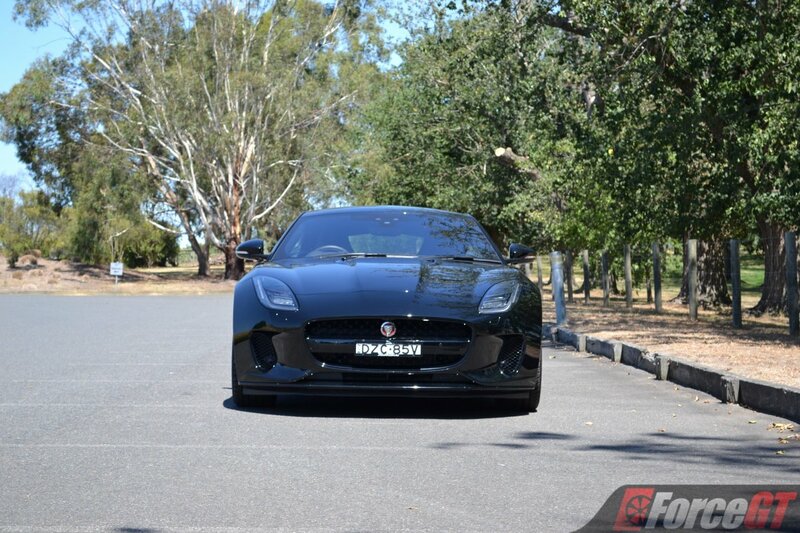 While the F-Type 2.0’s claimed 0 to 100km/h sprint time of 5.7 seconds is fast but not lightning quick these days, the most important fact is this. 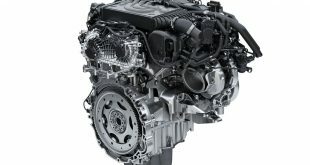 The four-cylinder Ingenium engine contributes to an overall weight reduction of 52kg, most of which is over the front axle, which means improved weight distribution and in turn handling balance and agility. Throw the quick ratio steering wheel around a corner and lightest F-Type responses with alacrity, aided by excellent balance and taut body control. 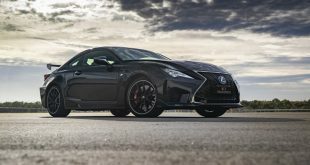 While its more powerful range-mates can catapult out of a bend much quicker, this four-pot version feels livelier and more connected to your inputs – think of it like a tuned up Toyota 86. In other words, it’s more confidence inspiring and always begging to be driven hard. Unlike the V6 or V8 models, which output can be overpowering for the rear tyres (measuring 275/40 R18), causing the rear to step out under a slab of throttle and catching you off guard, the 2.0 version is sweet and tidy most of the time. That said, don’t think you can’t have fun in it, as it can still be driven into mild oversteer when provoked with the electronic aids switched off. 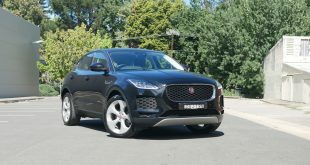 The eight-speed automatic isn’t the quickest shifting torque converter box we have sampled, but it does pair well with the smaller engine, picking ratios intelligently for the most part when left in ‘D’, holding onto lower intermediate gears when in Sport and acting swiftly in manual mode. 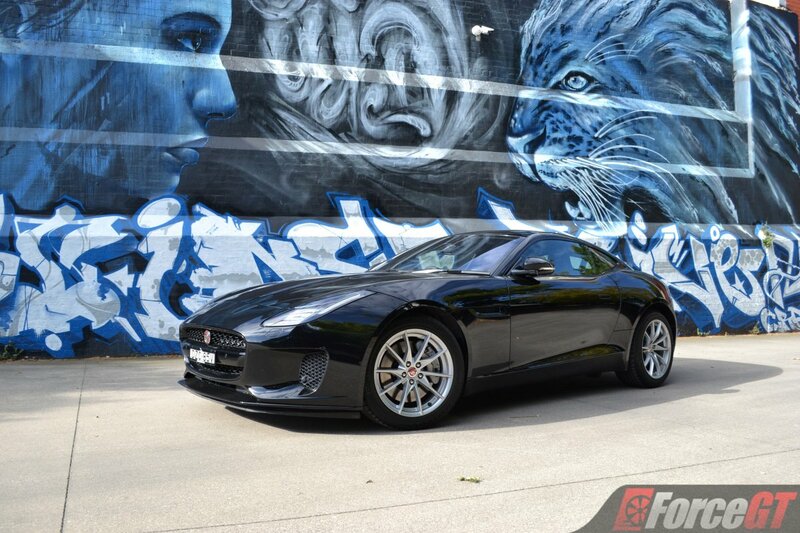 It’s easy to forget that this base F-Type has only passive dampers (non variable), as they are just simply brilliant. The ride is firm, which allows you to feel the road and corner flat, but never uncomfortable with it still capable of smoothing out patchy roads. 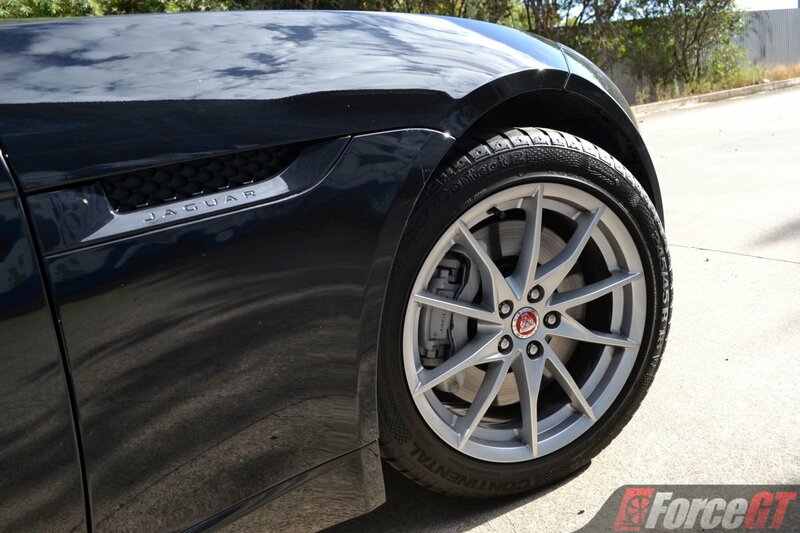 That said, our test car is riding on 18-inch wheels with thick tyres which would give a better ride quality than the optional larger diameter wheels with lower profile tyres. 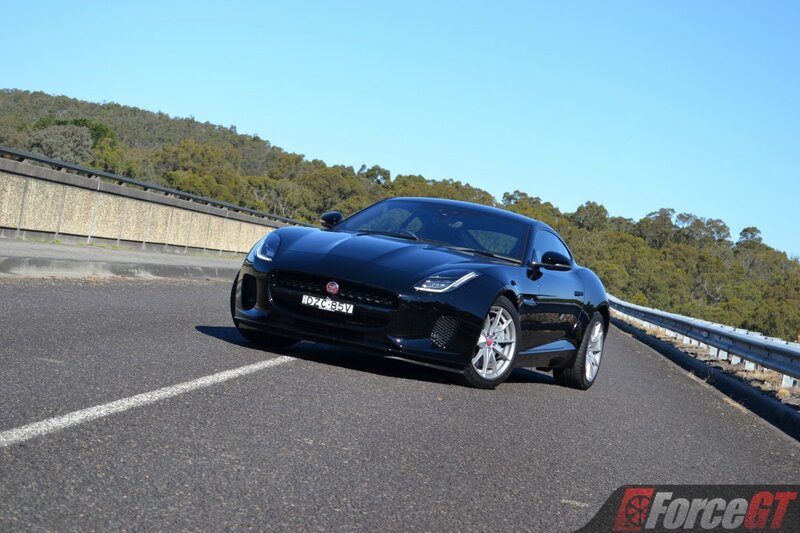 Not that owners of sports cars would care much about fuel economy but it’s worth noting that the 2.0-litre F-Type is much more fuel efficient than its gruntier siblings, returning a respectable real world average of 8.9L/100km even after some heavy belting. 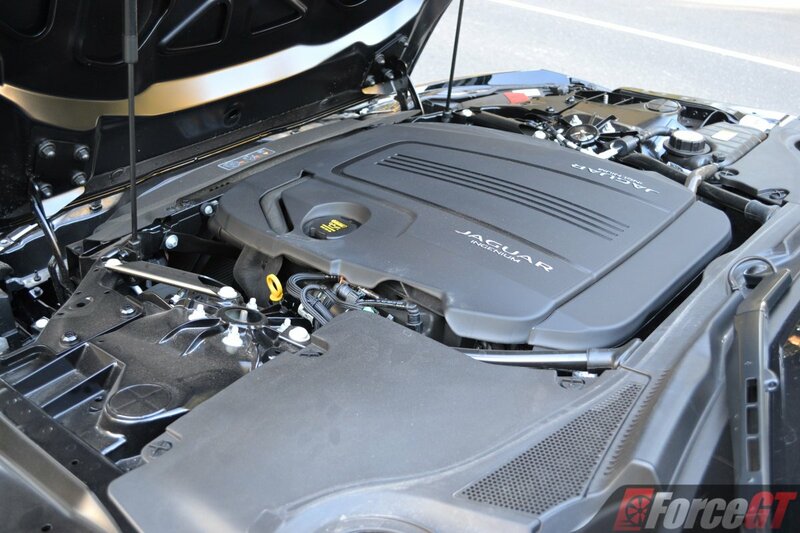 In comparison, the V6-powered 400 Sport we drove last year recorded a thirsty 12.7L/100km. All F-Type’s are eligible for Jaguar’s free servicing campaign, which means you get free standard scheduled servicing over the first five years/130,000km. The F-Type also has a long servicing interval, with maintenance due every two years or 26,000km, keeping running costs low long after the end of free servicing. 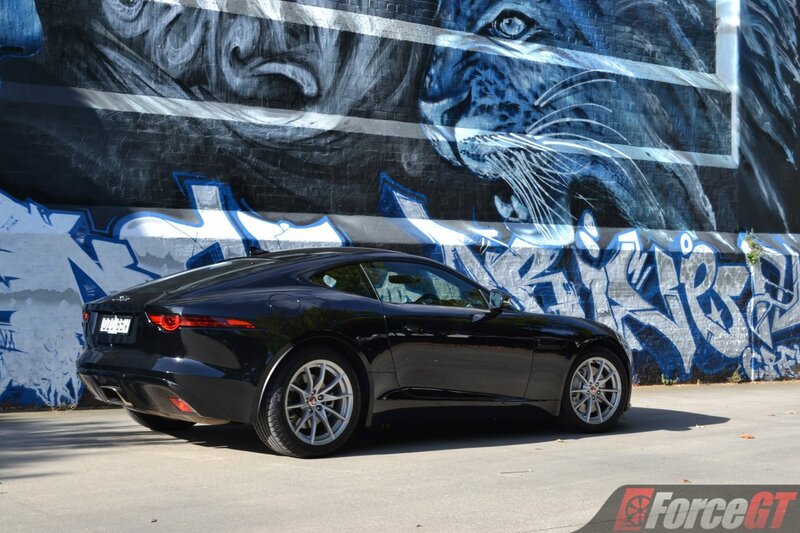 On paper, the 2.0-litre turbo Jaguar F-Type may look like a marketing department’s ploy to merely fill a market segment, only that it isn’t the case. The lack in outright power and noise is more than made up for in tighter handling and lower cost of ownership. But more importantly, you may be going entry-level but you’re still buying one of the prettiest cars on sale today. 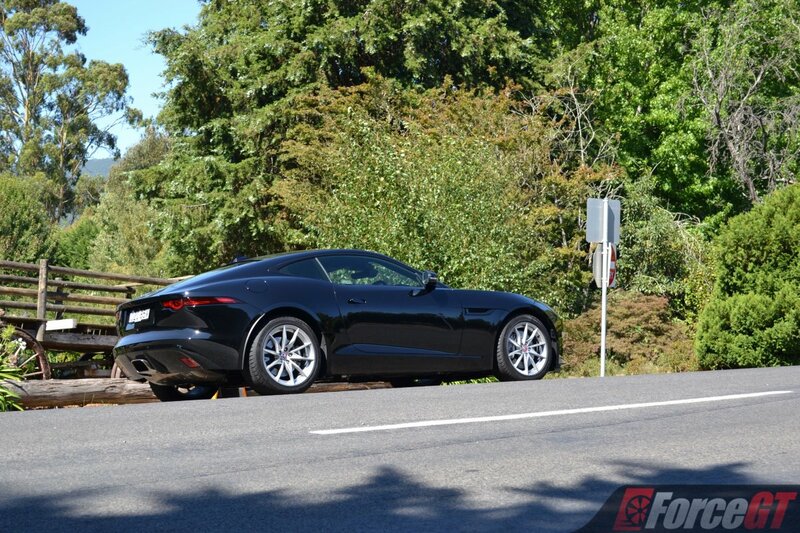 The four-pot Jaguar F-Type does have a spot in the range.